Setting clear expectations and having a good communication is the key to a good relationship between au pair - host family and reading this is the best way to start. By now, you probably know that au pairs are generally foreign-born women between the ages of 18 and 26 that come to Australia to experience the Australian life an culture. They come from countries around the world, mostly originating from Germany, France and the UK. Many are longing to experience the world, sharpen their English skills and gain freedom from their families for a 6 month period. In exchange for experiencing the “culture” of Australia and having their basic living expenses paid for, the girls agree to offer childcare ser­vices to families. There is no limit on the number of children they can watch (meaning, you pay the same fees for 1 child versus 4) Au pairs mostly expect to be treated like extended family members and not employees, hence the name (French for “as an equal”). 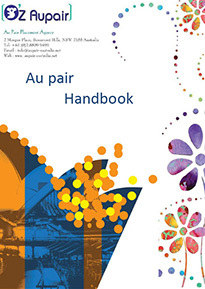 The Host Family Handbook will give you the insiders view to how the AuPair program works. It will answer your questions about aupairs, how it stacks up against a nanny service, and what you gain by having an aupair. And, the Host Family Handbook doesn't stop there. It provides practical tips along the way from experienced host parents-- parents that spent more than 10,000 hours perfecting their relationship with their aupair. We wish you and your family the best of luck as you try and find the best possible care. With this handbook, you are well on your way there! Au pairs come in many shapes and sizes. The majority of au pairs have “some” experience with children. They must meet a minimum number of hours babysitting or working with children in advance of coming to the Australia. However, families should not expect they are hiring a highly experienced “nanny” with many years of full-time experience. Most au pairs have part-time childcare or babysitting experience over a several year period and it is not uncommon for them to over­state their experience . Be certain to look closely at an au pair's detailed child care experience and work history. There are very qualified candidates, but they are hard to find and are in high demand. In the near future, our agency will offer nannies with more advanced experience. 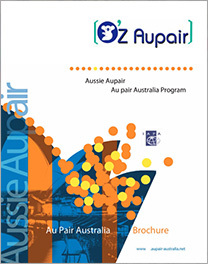 For example, with the Au pair Extraordinarre program. In this program, families will be able request candidates with specialized experience in nursing or teaching. We suggest that families with infants, special needs children, hard to manage children or multiple young children consider the extraordinarre program. NOTE: If you have a child under the age of two, in the USA the government does require that the au pair be Infant Qualified—having completed at least 200 hours of experience with infants. Tip: if you only have one infant, consider looking for an au pair that is a homebody. It is hard for a highly social au pair to be stuck in the house all day because of nap schedules, lack of play dates, etc. Like anything, there are good au pairs and bad au pairs. As always, the responsibility is on the parent(s) to interview the candidate to assess their skillset, maturity and readiness. Families should not assume au pairs have been comprehensively trained to do this job. In fact, families should assume in many cases, that the au pair has casual babysitting experience and no real training in handling sick children, child development, and long hours. It is the family's job to evaluate the au pairs overall abilities. Families with infants, should consider the au pair as an extra hand, not in sole charge, families withtoddlers, or children with special needs, are especially encouraged to invest the appropriate time in evaluating an au pairs readiness. The U.S. Bureau of Educational and Cultural Affairs authorizes au pairs and therefore establishes rules of working togeth­er. One major rule is that an au pair is not to work more than 45 hours per work week. However, the rules don't end there. • must receive 2 weeks vacation per year. Families are required to sign formal documents agreeing to the above terms. Despite being somewhat limited, families can establish any schedule they want. This means that an au pair can work mornings, eve­nings, as well as work periodically throughout the day. Families also have the option to change the schedule monthly. Listen Up- Stereotypes Are True! Some families are partial to German au pairs because they tend to be very organized, diligent, responsible, great driv­ers and speak excellent English. On the downside they can be overly strict and have a strong sense of entitlement. Most families that have hosted German au pairs swear by them and say they will never have an au pair from another country. 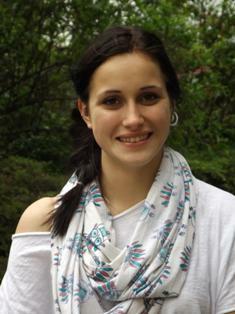 Many host families report great experiences with Mexican au pairs. After speaking with several counselors, we learned that Mexico is the country with the fewest au pair complaints. Asian au pairs are thought to be very warm, intelligent and extremely conscientious, but often live quite sheltered lives before coming to the states. So, the transition into the family and the community is sometimes challenging. Also, be cer­tain to really understand her driving skills. This is often a problem -- Especially with Thai au pairs. Latin au pairs- Brazil, Colombia- are generally thought to be very warm and sensitive to younger children. They typi­cally have very relevant experience but many are not experienced drivers and English skills are often a problem. TIP: Once an au pair arrives, they generally like to meet others from their home country. So, before you select an au pair, be certain you check to see if there are other au pairs from her home country in your area. This will help with her transition into your community and home. Think twice about selecting au pairs from a country that is not represented in your community. There are many advantages to having an au pair over a nanny. Among them : flexibility in work schedule, the poten­tial for a closer bond to the children (due purely to proximity), cost scalability for large families, foreign language and culture infusion, as well responsible/stable/reliable care. Many parents report that they enjoy having a planned “date night” with their au pairs or have a weekend night out because of the flexibility in the work schedule. Perhaps the biggestadvantages of au pairs are flexibility, reliability (they are in the house) and weekend baby sitting. The downsides of an au pair, of course, are sharing your home, hidden costs, lack of experience, unpredictable driv­ing experience, cultural transition, home-sickness and limited family privacy. Keep in mind that you aren't getting a live-in housekeeper or cook. Sure, you can have the au pair wash the kids clothes, unload the dishwasher, and do quick dinner preparation but not much else. 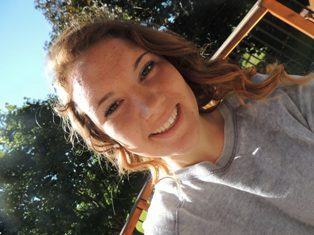 If you really want someone that can cook or likes to help out at home, be certain to look for that in the application. Regardless, our suggestion: ALWAYS look for someone tidy!